Contact Debord Inc. for air conditioner repair in Southington and the surrounding Northeast Ohio areas. You can’t wait days for an AC repair company to come out and troubleshoot your air conditioning system—and then wait possibly even longer for a certain part to come in! You need emergency, same-day AC repair service in Southington. We offer reliable Southington air conditioner repair services 24 hours a day, seven days a week. Schedule Emergency Air Conditioner Repair in Southington. 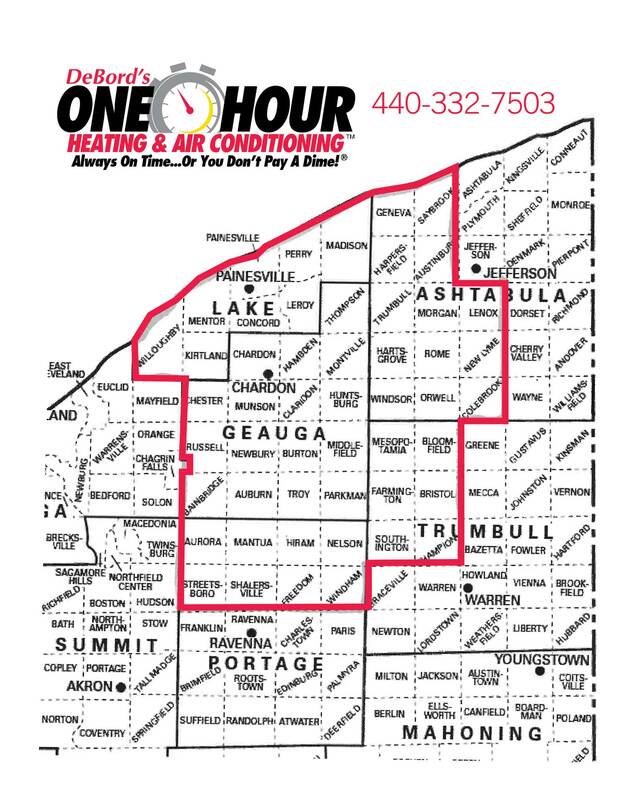 Need to schedule emergency air conditioner repair in Southington, Ohio or the nearby areas? Call us at 440-286-6002 to schedule an emergency AC repair visit to your home. Our local air conditioning company can provide same-day service and return your home to a comfortable temperature. Debord Inc. has been providing emergency air conditioner repairs for more than 39 years in Southington, Ohio and surrounding areas!